Madison's savory ascent as a culinary destination pairs its rich tradition of homegrown bounty with a progressively wider international palate. Sample the fare of Mad City staples like Ella's Deli, Mickies Dairy Bar and the Plaza and enjoy tales of legendary eateries of yore, such as Cleveland's, the Fess and Ovens of Brittany. Visit the farmers' markets that feed the capital city and the unions that have struggled to represent dishwashers and waiters. 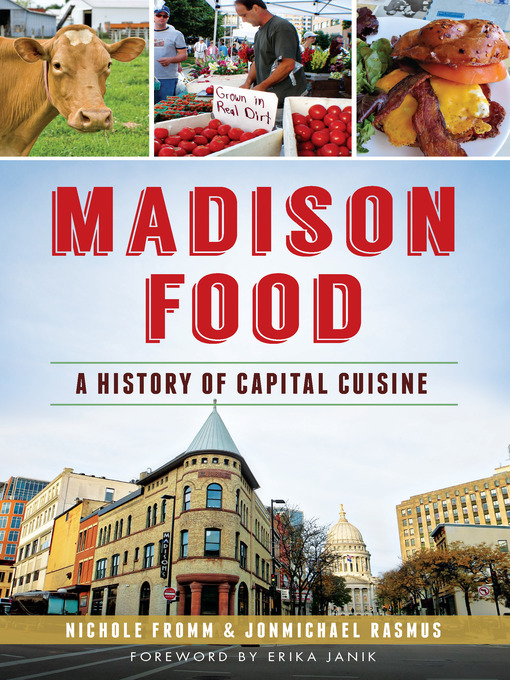 Slide into a booth with the visionaries who nurtured Madison's food culture, from Gulley to Guthrie and Peck to Piper. Food enthusiasts Nichole Fromm and JonMichael Rasmus share a taste of the unique ingredients spread across Madison's evolving table. Erika Janik - Author of introduction, etc.